There is a lot that can be said about preseason tours and what they actually mean. Many, will rightly say that it is a pointless exercise that offers nothing tangible, while also forcing teams to rack up the miles all in the name of the almighty dollar. 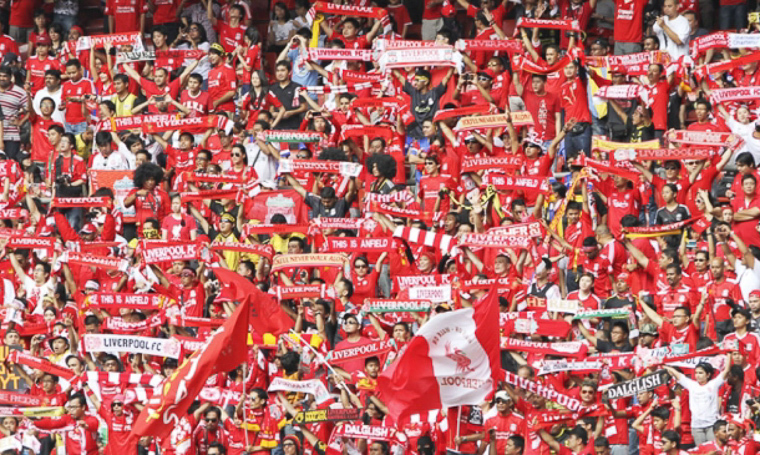 However, what is clear, is for the fans that get to see Liverpool FC play, it means much more. If you were to look at the rendition of both the Brisbane faithful and the Adelaide supporters, you can see that even though the distance may be great, the passion is real. So for someone that does live miles and miles away from the spiritual home of Liverpool FC, the whole it’s only about the dollar argument does not compute. There is something more tangible than even money and it is about the fact that every time Liverpool makes their way over to foreign shores, they are bombarded with fanatical fans that appreciate the journey and are keen to reciprocate with a level of passion that truly reveals the size of Liverpool FC. But, that is all just a sideshow, because the real benefit of preseason is in players gaining fitness, gaining belief and showcasing talent and skills that will hopefully put them in a prominent position once the season kicks off. Matches against the Thai All-stars, Brisbane Roar and Adelaide have all to me anyway, highlighted the positives that we can all take into this season. Milner, Henderson, Lallana and Allen in midfield have been a joy to watch. Gomez being Gomez has been such a pleasant surprise. Ings has shown himself to be a real solid addition to our depleted striking options. Origi has looked raw, but you can see that given time to gel with his new team mates, there are goals waiting for him. Clyne, Skrtel, Sakho, and either Moreno or Gomez look like a really strong unit that should hopefully stop the rot that has plagued Liverpool for the last few seasons. The players that aren’t yet in the squad as well, Firmino, Coutinho, Can and Illori all should add to what is shaping up to be the best squad Liverpool has seen in half a decade at least. When you consider that even in our last title challenging season, Rodgers had to rely on just 13 odd players, this kind of depth is just remarkable. So yeah, it is only preseason, but what is clear is, we have come a long way from the depths of last season and throw in the fact that Rodgers has been given everything he has wanted, it appears as though the club looks really united and if you can appear to be united at all levels, chances are, that unity will only help enhance our chances for success going into the new season.